Summer holidays back then were much looked forward to,starting bang on April 1st through May 31st,sans summer camps and coaching classes,we had all the time in the world to do anything we wanted with no thoughts of school work hovering around our head.We'd have special agendas planned and to be executed during the holidays but by the end of first week we'd be terribly bored and badly in search of new ways to spend time. Tomato Juice was born on one such lazy afternoon.I remember me and my brother peeped into the kitchen while amma was taking a nap.We wanted something to drink but weren't sure what to make.The huge basket of tomatoes gave us an idea.Filling the blender with crushed ice,we added tomatoes and sugar and gave a whir.The juice was quite thick,so we strained it and were surprised to see it looked just like watermelon juice.It tasted delicious too and soon became our favorite. 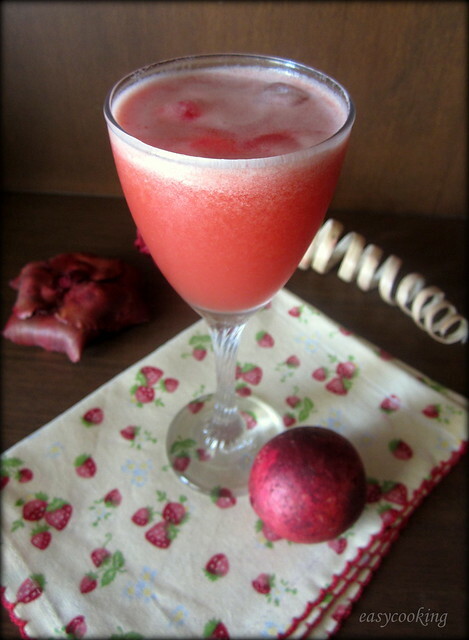 It is surprising how I completely forgot about the juice until some time back,talking to my brother brought back fond memories of the same.The recipe is very simple,in fact there is no recipe at all!! 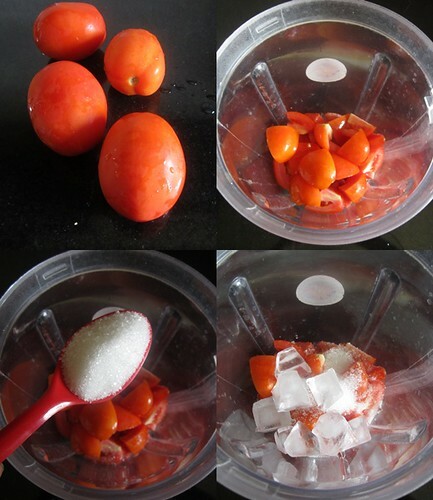 Just put some tomatoes,sugar and ice into the blender and blend till smooth.Strain it and serve chilled with some more ice cubes.That's it! Reviving Nostalgic memories - Priceless!! adding beetroot is such a great idea! 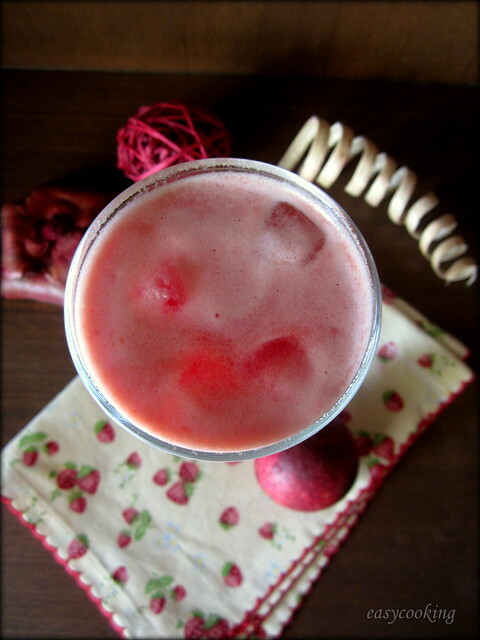 Wow simple and refreshing lovely tomato juice which is my all time favourite. Definitely a healthy thirsty quencher..
Wowwwwwwwww jucie is looking very yummy, very easy and healthy. do visit my new born blog. quick thirst quencer n looks so delicious. 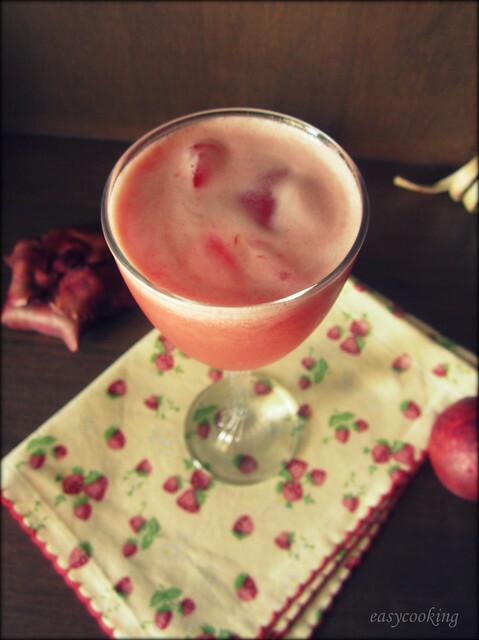 .. my Milk frequently prepare this drink for us, thanks for remainding. I am not too fond of tomato juice.. though I like soup. But this looks rather refreshing. im going to definitely try now !! Those 4 tomatoes are 1 kg??!!! they look pretty small in the pic. How many glasses of juice can one make in 1 kg tomatoes and how much sugar? 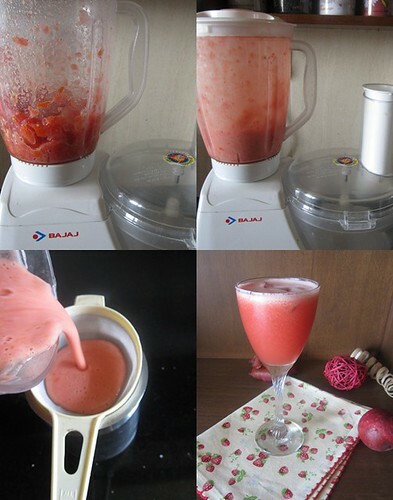 Nope,the pictures are just for illustration purposes.I used about 10 tomatoes to make juice which served 4.You could add as much or as less as you want.Add 1 tbsp sugar per glass or more if you like it sweeter. I like this not only its great fro weight loss (no sugar) but also good for skin :)) nice pics and post. Do visit my blog as give our valuable feedback!